THE young Christopher Hugh Gallop, we were told, was consumed by wanderlust which took him to many different countries, doing all sorts of odd jobs. 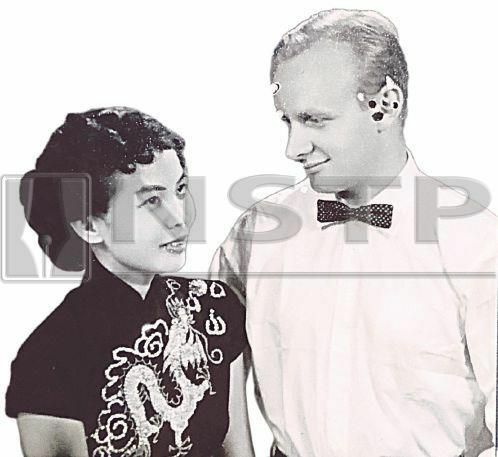 But it was only in the East, in 1957, that the son of a diplomat was stopped in his tracks when he set foot in Singapore where he set eyes on a young Malayan lass, Teh Siok Lay, or better known as Soo Lee. It was there that he also fell in love with Southeast Asia, the Malay language and literature. Gallop, then a teacher at the Chinese Boys’ High School in Singapore, was with a few friends at a folk dance event at the YMCA, when he saw another fellow teacher, whom he unilaterally decided, was to be wife. It wasn’t to be a smooth relationship given the reputation of ‘ang mohs’ in the East after the war. 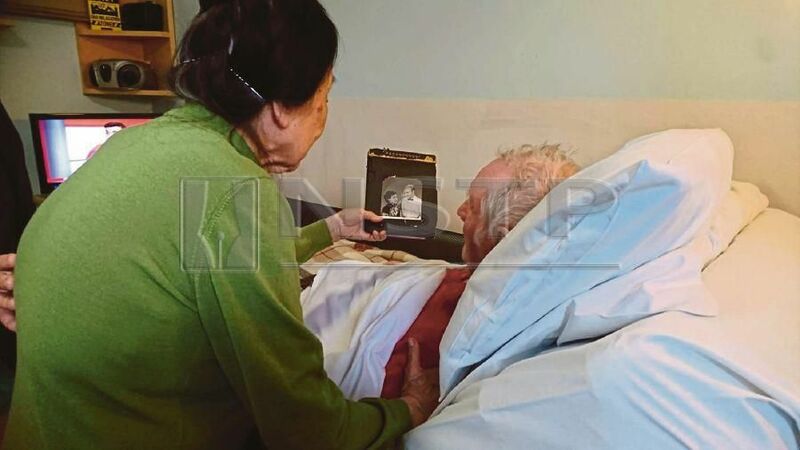 It was one that was spiced up with stories of espionage, jealousy and determination that led true love to triumph right till the end, until he breathed his last on her birthday last December, sealing 60 years of undivided love and total devotion. The loves and life of Christopher Hugh Gallop was celebrated recently through narrations at the Royal Asiatic Society (RAS) by his daughters, Cindy, Annabel, Melanie and Eve — evoking much laughter mixed with sadness as they talked about his love for his wife and children, his love of the Malay world where he spent the most part of his life, his dedication for his profession as an educator in Brunei Darussalam, of his relentless pursuance of education, mainly Malay studies at a ripe old age of 70, where he took a Master’s degree in Malay Literature at Universiti Sains Malaysia. Soo Lee and Chris Gallop spending their remaining days together. And last but not least, his life as Pengembara, the wanderer who penned his jottings about the people he met and places he visited where he lived and worked as headmaster and later inspector of schools in Brunei. His weekly columns appeared in the Borneo Bulletin from 1989 to 1993. Annabel, or Dato Dr Annabel Teh Gallop, had stood behind the podium at the RAS on numerous occasions, where as lead curator of the Malay and Indonesian Collection at the British Library, she had delivered talks on Malay manuscripts and more about the Malay world, with confidence and an air of authority, for that is her area of expertise. But on Jan 13, it was for a very different reason that she stood there behind the podium in her red baju kurung, to talk about her father’s love of Malay literature. It was at the RAS that Gallop’s weekly column, which was later published, was launched in 2007. It was on that one occasion that Annabel’s voice faltered as she spoke about the legacy that her father had passed on to her, then a Mathematics graduate — the love of the Malay world, Malay literature and everything that goes with it. Gallop was Senior Master at Anthony Abell College in Seria and later Principal of Sufri Bolkiah English School in Tutong, Brunei, in the 60s. He became Inspector of schools in 1982, while Soo Lee ran her Happy Kindergarten, which they later handed over to the Bruneians. After 28 years in Brunei, the family decided to move back to Penang where they spent their retirement days until Gallop’s deteriorating health forced them to come back to London. He spent the last few months in a nursing home where, Soo Lee, at the age of 84, without fail, took the short bus ride to the nursing home to spend their time together, holding his hands, reminiscing about their days together. It was at the nursing home that I learned more about their love and devotion for each other. Not one to give up, the young Gallop pursued Soo Lee unaware that back in Changloon, her family conspired to break up the relationship by hiding her passport, restricting her travels and even sowing seeds of suspicions and apprehensions about marrying a white man. in Singapore by forcing her to write a letter to the school, saying that her mother was very ill. Finally, her father resorted to asking the deities who confirmed that the union would prove to be the best for them. However, one last attempt to thwart their union was a Chinese newspaper which refused to print the announcement of their engagement. “If they won’t allow me to marry Chris, I will not marry anyone else, not even someone from the Chinese community,” Soo Lee said to me, referring to the various parties colluding to break them up, while looking lovingly at Gallop on his nursing home bed. Finally, they got married at St George’s Church in Penang on April 18, 1959, with Soo Lee in her bridal gown made by a tailor in Singapore who made clothes for Hong Kong film stars. There was not a day that they didn’t profess their love for each other and there was not a day that she didn’t visit him at his nursing home, even though once she did falter and tripped at the station. “If he dies, I don’t want to go on living,” Soo Lee told me as we walked the short distance to the bus stop to take her home. 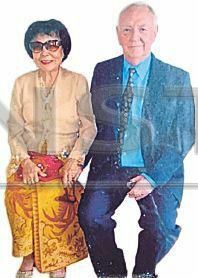 Needless to say, her be-loved husband’s passing days before his 88th birthday, had left a large vacuum in her life — but he has also left a wealth of legacy in the children that they brought up together, in the Malay world that they shared together and in the love and devotion that they had for each other. For the rest of us, like me, who had been fortunate to be touched by the kindness of Gallop and his wisdom, I left feeling touched by a poignant message in the booklet that was published in memory of Christopher Hugh Gallop which simply says, “Pengembara has ceased his wandering and is at rest”. Rest well, Mr Gallop. I will miss you.